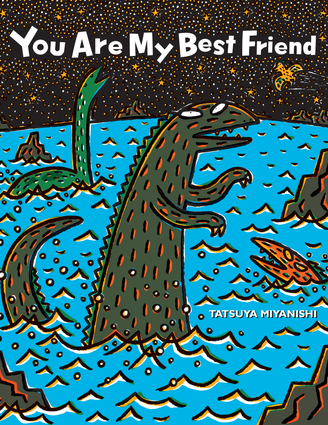 One of the most popular children's books from Japan, You are My Best Friend is the second book in the Tyrannosaurus series of 12 titles that have sold more than 3 million copies in Japan, China, Korea, Taiwan and France. Born in 1956, Tatsuya Miyanishi graduated from the Nihon University College of Art and was a doll artist and graphic designer before becoming a picture-book author. Miyanishi's books have a passionate fan base of all ages that enjoys his range of endearing characters in many genres, from superheroes to dinosaurs, all illustrated with bright colors. He has won the Kodansha Cultural Award for Picture Books, as well as the Kenbuchi Picture Book Grand Prize.